A jewel in the Lake District crown. Jennings Castle Brewery has 190 years of brewing heritage and along with the award winning ales, it forms part of the fabric of the Lake District. Jennings Brewery was founded in the village of Lorton (situated between Keswick and Cockermouth) in 1828 by John Jennings (1783 – 1876), son of William Jennings (1751 – 1848) who was a Maltster by trade. The traditional values which the Jennings family instilled in the business are still respected, and combined with a modern day commercial approach, they have undoubtedly contributed to the success of Jennings ales today. Admission prices are £9.50 for adults, £8.00 for OAPs (over 60s) and £4.50 for children (children over 12 only please). Please allow 1.5 hours for your visit. If you have a group of 10 people or more who would like to come on an exclusive tour (outside of the normal daytime tour time) we would be more than happy to accommodate. For more information please call 01900 820362. 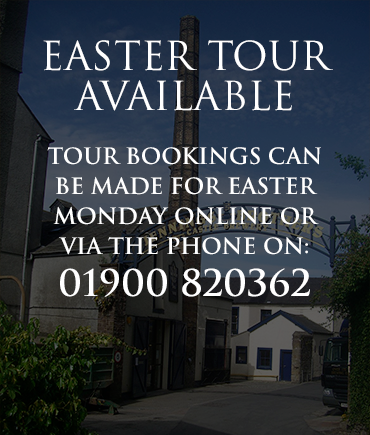 If you wish to book a tour for today please call us on 01900 820362 to check for availability and times.